It’s becoming very rare these days for me to fall in love with an album the way I used to. I miss it, but there it is. Some of this is a conscious trade-off, since I enjoy compiling and curating playlists (as The Song Sommelier). But to some extent, it just feels as if I don’t have the time to invest (i.e. 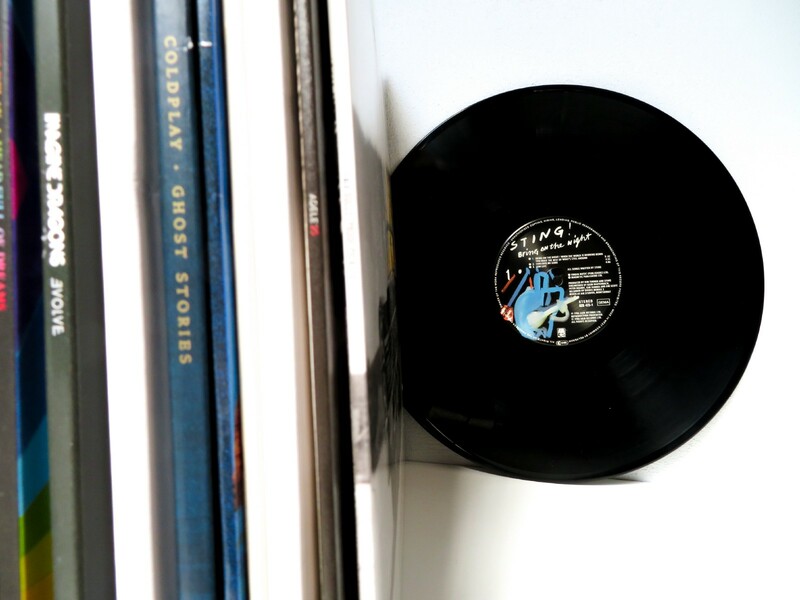 in repeated listens) in the way albums — good ones — truly deserve. Broader listening trends confirm that this applies to people in general. The penetration of adults that claim to listen to whole albums monthly, stands at just 16% (Q4 ’18 data from MIDiA, a drop from 22% in the previous quarter), compared with say, 35% listening to music on the phone. This is self-reported of course. Behavioural data on album listening is a patchwork of proxy measures, such as ‘listens (to individual album tracks) from the artist’s album page’ on Spotify. To be fair, we never ever really knew how consumers who bought albums actually listened to them. Survey data I saw a long time ago, before the streaming era kicked-in suggested that some purchased albums were played on average, just over once. As the management consultants say, what can’t be measured won’t get done, and so in a world of real-time statistical feedback, why make an album if you cannot see who is listening and how? There is already a creative conversation in the industry about “skip-rate reduction” and one way to achieve this is to front load albums with the catchiest tracks (allowing with the perverse situation that longer albums are better for getting songs onto playlists). Where does that leave the art of album sequencing and story-telling? The album’s competitive pressures go wider than music. In the attention economy, albums compete with Netflix, Fortnite, TikTok and Instagam. In music’s own attention economy, albums compete with singles, playlists, games, podcasts and box sets. And those latter two categories are literally stealing the show. This is unsurprising in the streaming world — a better way of coping with the content waterfall is a ‘consume-once-only’ approach. The idea of spending the same 45 minutes over & over to build up familiarity with a record seems taxing. What seems particularly telling for music, is that ‘Netflix and shows’ is the water cooler conversation these days. Pop culture talk is all about what you’ve watched, are watching or should watch, and any similar conversation about music is conspicuous by its absence. The ‘event album’ seems to be over. Is it just me or do artists seem to want to drop albums with less fuss now anyway? Perhaps the element of surprise (Bowie’s legacy yet again) is smarter than facing the “aftermath of promotion”. Coupled with this, some artists are either eschewing the format or at the very least questioning it. Perhaps the golden rule here is that the one size fits all model is becoming unfit for purpose. We’re already seeing some innovation, especially from Hip Hop artists like Migos, Drake and Kanye, but this trickle needs to turn into a flood. If we take the world’s biggest artist right now, Ariana Grande — what role did her album play in the scheme of things? When the CD began to give way to streaming, it’s fair to say the labels embraced it. In some ways, the CDs decline was ushered in rather than managed out. But are labels taking the same level of aggressive-progressive approach when it comes to succeeding the album? I’ve already argued previously that the main format to succeed the album is the playlist, and that there is further innovation to go (also taking the opportunity now to acknowledging Apple’s release regarding a more creative approach top playlist cover art). Meanwhile there is no doubt that the EP has made a comeback, and has become a useful vehicle for new artists to drop a collection of songs as a showcase of their repertoire. (Bring back) Album Exclusives: With some services favouring the single track, could the labels divide & rule with full album licensing fenced off to other album focused services? Now I know we’ve been there before, and ‘nobody’ liked it much, but things are different now, and platform differentiation is a strategy both labels and platforms need when it comes to content. If some services stepped up in full support of the album, the format stands a better chance longer term. A more radical option? Sell full albums exclusively on label-owned streaming services. More visual outputs: Universal has doubled-down on video. Apple has doubled-down on video. Video remains huge, and continues to grow in short-form, and now long-form too. TV and theatrical productions are hunting very actively on music’s turf for artist stories. It’s fascinating but by definition, not the same ubiquity potential of audio formats. Music films can do wonders for song catalogues however, Bohemian Rhapsdoy has proven that. Experiment with entirely new formats: Easy to say, harder to do. New platforms such as voice and the car provide possibilities without a doubt. Of course, an option for the producer sector is to do nothing much — simply wait for the technology sector to stumble on the next scaleable format. They are trying, from Spotify’s Canvas moving images, to Pandora’s new Stories format, to Apple’s continued video format innovations such as Up Next. The platforms pitch these formats to artists as much as labels. One problem for labels is keeping up with the tail wagging the dog. Without knowing if the format will last, should they invest and convince artists to make stuff the platforms want? For example, should they make vertical videos just because Spotify wants vertical videos that month, or podcasts because it’s now all about podcasts? Will that continue? Labels and managers need to make their own minds up. For the vast majority of artists, revenues are now following a pareto curve, with their ‘top songs’ (between five and ten say) making up a fraction of their catalogue but the large majority of their streaming income. When an established active artist releases a new album, the impact is often on those jewels in the crown more than the new collection, and if one or two songs make it into the crown, then bingo! The project pays off. The goal of any artist project is to get another jewel in the crown, but an album isn’t the the critical vessel to achieve that goal. I still use my primary source of the past 20 years to find new records, The Guardian G2 and Pitchfork. I can’t find any new albums via Spotify’s personalised feeds, because that’s mostly now just ‘for me’, or singles. Apple Music is doing a better job of presenting new release albums, and I guess both the streaming rivals are serving their own listener base appropriately. Bringing vinyl values to playlists!